PARIS — Satellite fleet operators Telesat of Canada and APT Satellite Co. Ltd. of Hong Kong have agreed to divide the cost of a new satellite to replace their jointly owned Telstar 18/Apstar-5 at 138 degrees east, with the successor, called Telstar 18 Vantage/Apstar-5C, to be built by Space Systems Loral and launched in early 2018. The satellite will carry 63 C- and Ku-band transponders, including both regional Ku- and C-band beams and a high-throughput (HTS) Ku-band payload. It will be Ottawa-based Telesat’s third Ku-band HTS-equipped satellite. HTS satellites employ multiple smaller spot beams to provide higher throughput by reusing their assigned radio frequencies. APT’s lease commitment presumably includes a pro rata share of the satellite’s launch and insurance costs, giving the Telstar 18 Vantage/Apstar-5C satellite program an implied value of $206.8 million. APT is majority-owned by the China Aerospace Science and Technology Corp. (CASC) and has partnered with CASC for satellite production, launch and operations in the past. With Palo Alto, California-based Space Systems Loral selected as satellite manufacturer, the new satellite will not be launched by China’s Long March rocket due to U.S. technology-transfer restrictions. Neither company announced the selection of a launch-service provider. Telesat said in a statement that the spacecraft would serve markets in China, Mongolia, Southeast Asia and the Pacific Ocean region. 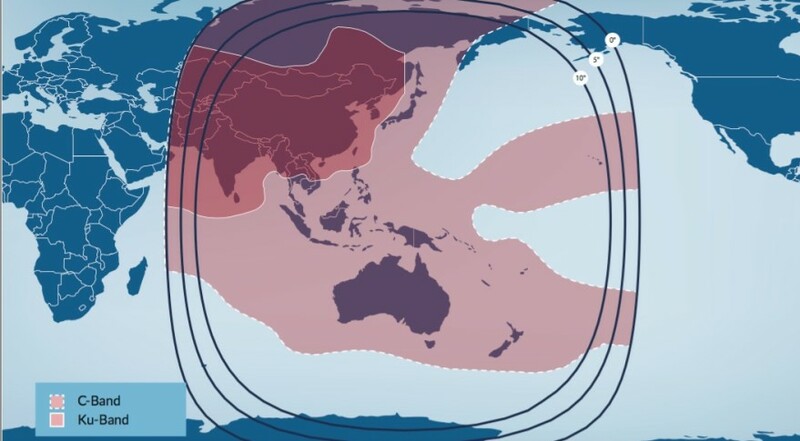 “It will also provide extensive C-band coverage of Asia that reaches from India and Pakistan in the west… to Hawaii in the east, enabling direct connectivity from any point in Asia to the Americas,” the company said. Telesat and APT have structured their partnership in the satellite as a lease, with the entire payment due by the satellite’s launch. APT said it would be making monthly payments, starting now and continue through the first quarter of 2018, to a wholly owned Telesat subsidiary, Telesat International Ltd., based in London, which will be the satellite’s legal owner.